With over a decade experience, and as the originator of the managed kosher vacation rental concept, we have grown our portfolio of beautiful and well-maintained homes as well as a large loyal client base. Each property, no matter the size or location, is luxurious yet affordable. A family or a couple can spend anywhere from two nights to two months in their own private residence for a nightly cost that is in many cases less than what they would expect to pay for a hotel room. 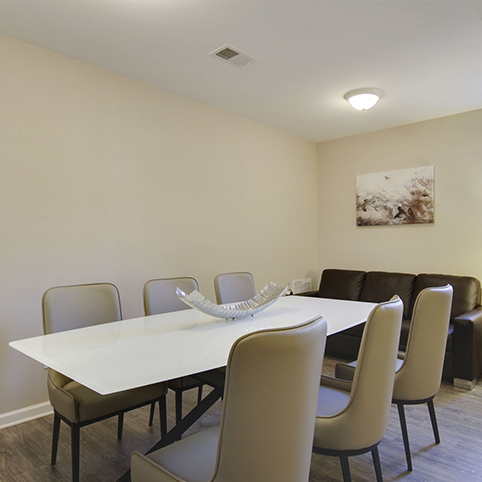 Equally as important is that all of our properties are equipped with a kosher kitchen featuring large and small appliances that one would find in their own home. As an added bonus, they are outfitted with the basic essentials needed for a Shabbos or Yom Tov stay. Our units are managed by a professional cleaning crew, a team of maintenance experts, and a quality control staff, all of whom oversee all aspects of care and upkeep on a continual basis. This ensures total comfort for our clients who can rest assured they will be entering a spotless home in perfect condition. Whether you vacation here in Lakewood or choose to stay at any of our other properties in New York or the South Florida area, we are with you from the moment you first contact us until you are packing your bags for your trip back home. We pride ourselves on the level of customer care we provide to our guests as well as the professional and helpful attitude of our dedicated team. A friend of mine mentioned to me the madison house in lakewood. we decided to go for a long weekend, Went with my wife and kids i have to say it was far better then what i originally expected, its the perfect affordable vacation, service was absolutely great. the house was just perfect with a beautiful new kitchen everything was spotless, nice furniture, comfortable beds, very spacious dining room and nice grounds in front of the house and its in the heart of the heimishe neighborhood, i would definitely recommend this to my others. The Madison Villa was scrupulously maintained. The amenities were as promised, and most of all, Shaya Weinberger manages his properties with a passion and concern that is scarce among property managers. Iy”h when I go back again to Lakewood we intend to rent The Madison Villa again. ר’ ישעי שטייט גרייט פאר וואס מען דארף נאר, איך קען אייך זאגן איין זאך, איך בין שוין געווען אויף וואקעשן כמעט אין די גאנצע וועלט, אבער אזאנס האב איך נאך נישט געהאט רחניות און גשמיות איך בין אהיים געקומען ממש אן אנדערע מענטש. Recommended for Hemishe Mishpuchas L’Mehadrin. Four Bedrooms 2 Baths and lots of couches. Huge Dining Room Table and large backyard for the Einiklech to play. Yasher Kochachem. We’d like to say that the forest house is gorgeous! Very clean and nicely furnished and well thought out. 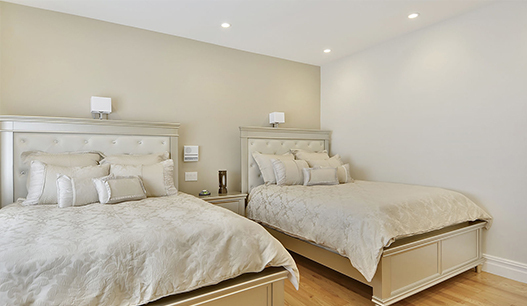 Mr.Weinberger made sure that when we arrived the house was freshly cleaned, had fresh linens and really everything was truly much better than we imagined.